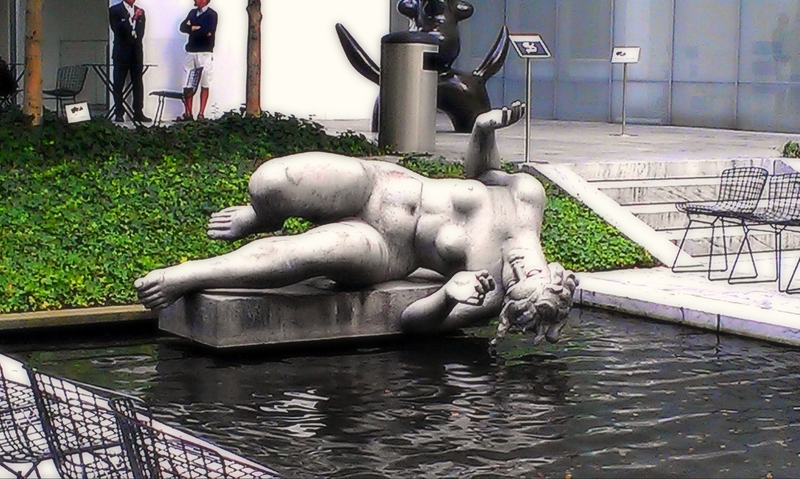 Back in the fall of 2013, I visited the MoMa Sculpture Garden. I got there right before it closed so I didn’t get to enjoy it too much, but it’s a great place to sit down and have a peaceful reading session. My favorite sculpture was The River by French sculptor Aristide Maillol. The statue lies on a small podium in the water, with her neck craning downward to the point where it looks as if she’s trying to wet her head. She’s quite bodacious too, which can probably explain why the majority of the wishers throw their pennies into this section! Read more about the sculpture here.